A versatile multi-tasker, the Sharp R-820JS functions as a high-powered microwave, convection oven, and grill. With a handsome stainless steel interior and porcelain turntable, it’s attractive sitting on the counter too. Reading the manual is a must, as it includes instructions for programming the oven for all sorts of functions, be it roasting a chicken or making cinnamon rolls. Featuring inverter technology, the Panasonic NN-CD989S produces even heating without burnt edges or drying out. This model can sit on the countertop or be installed with an optional trim kit. The controls are simple and do not have the cluttered look found on many appliances. We especially appreciated the solid construction and the way the door shuts with a firm snap. With a sleek appearance and great functionality, the Panasonic NN-SD797S is also economical. Capacious on the inside, it holds plenty of dishes and heats them evenly and quickly. The neon-blue spin dial gives this microwave an appealing retro design and makes it easy to navigate the controls. Perfect for the modern kitchen, it can be built-in or set on the countertop. A handsome over-the-range convection microwave, the LG LMVH1711ST has a modern look and spacious 1.7 cubic foot interior. Automatic heat sensors work to distribute heat evenly and to prevent burnt edges. An added bonus is the 300 cfm fan, which keeps food odors from permeating the kitchen. An over-the-range microwave with a capacious 2 cubic foot interior, the Whirlpool Gold GH7208XR comes with two racks and a touchscreen control panel. 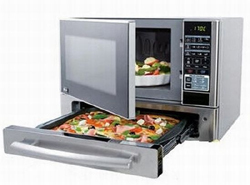 The convection baking capabilities are excellent, allowing you to make cupcakes, pizzas, and breads with ease. Another great feature is the 16 inch stoppable turntable, one of the largest you’ll find. 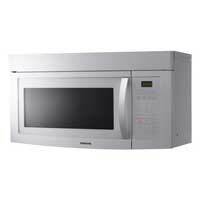 Featuring a clear viewing window, the GE CEB1590SSSS convection microwave comes with a large 12 3/4 inch recessed glass turntable. The sensor cook feature accommodates four different recipes (popcorn, beverage, cook, and reheat)for your cooking convenience. The touchpad control panel is straightforward and includes a timer. We were overall impressed with its thoughtful design and performance. A combination convection microwave oven and grill, the Cuisinart CMW-200 has a handsome brushed stainless steel body and dark tinted window. The touchpad control panel is clearly labeled and easy to program, and it includes 9 preset options. With its many options, including 3 grilling options, this model offers the versatility of several appliances all in one package, and all for a reasonable price of $249. 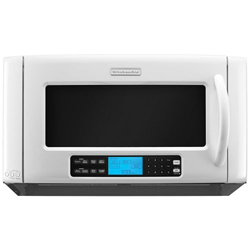 A countertop microwave with an optional built-in trim kit, the Dacor Discovery DCM24 offers convection baking for perfectly crispy exteriors, roasting, and broiling capabilities. A sensor cook option takes the guesswork out of baking and produces consistently satisfying results. 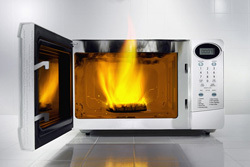 Melding safety and simplicity with durability and functionality, this Dacor Discovery microwave is a great purchase. A sleek, modern-looking convection microwave, the GE Profile PEB1590 has a curved viewing window and a refreshingly simple arrangement of buttons. 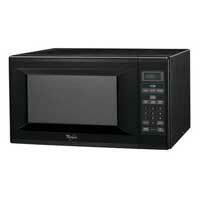 Praised for its convenience and easy-to-use functions, this countertop microwave is also energy efficient. Reading the included manual is recommended to become familiar with all of its capabilities. 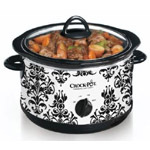 A deep interior is perfect for roasts and large casserole dishes. 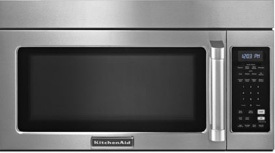 This wide over-the-range convection microwave from KitchenAid is notable for its unique design: the LCD display panel is located below the extra-large viewing window. Sleek and modern and yet simple to use at the same time, the KitchenAid Architect Series II KHHC2090S has a cavernous interior perfect for large roasts and pizzas. 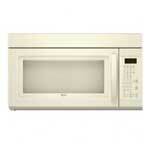 Ultimately, for a wealth of features and excellent performance, this microwave is worth the extra price.